I'm so excited! 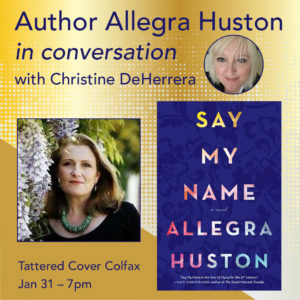 When my friend Allegra asked me to join her at the Tattered Cover for her book signing, I about fainted. I've been lucky to see this project from idea to this gorgeous finished book, and now you can read it too! We're going to have a great time discussing this juicy new book. Hope you can join us! I. Cannot. Believe. This. Happened. We are going discuss author branding. The word branding is so...painful. Instead think, voice. Who are you and how are you presenting yourself in the world? We will look at successful author brands and discuss how you find your own voice on the various platforms, including Instagram, Snapchat, YouTube, Facebook, your website and more. For those of you having tiny heart attacks about the prospect of marketing, deep breath. It always comes down to having a great book. Craft. Then marketing. See you at the Parker Library, 2:00-4:00 p.m.